Spinal problems can result from a variety of injuries from trips, falls and sports injuries to auto accidents. These injuries are often complex and result in a variety of symptoms. The symptoms may be minor or even nonexistent at first. However, if not addressed properly, they can result in long-term pain and decreased function and quality of life. Spinal adjustments combined with rehabilitation help relieve symptoms and improve function, GIVING YOU YOUR LIFE BACK. Spinal adjustments are the foundation of chiropractic care and provide excellent outcomes. These results can be even improved when combined with therapeutic procedures such as laser therapy, traction, postural correction and therapeutic exercises. We are proud to offer laser therapy with the K-Laser Platinum 4, the newest Class IV therapeutic laser to be cleared by the FDA. Laser therapy uses specific wavelengths of light to stimulate the body’s natural ability to heal. The effects of laser energy include improved healing time, decreased pain, increased circulation and decreased swelling. Mechanical traction, which involves gentle and precise stretching of the spine, may be used to reduce pressure on joints and discs of the spine. This is often helpful for patients with disc bulges or herniations, pinched nerves, sciatica and degenerative disc disease to name a few. Therapeutic exercises and postural correction provide stabilization of the spine through improvement of muscle tone, balance and circulation. 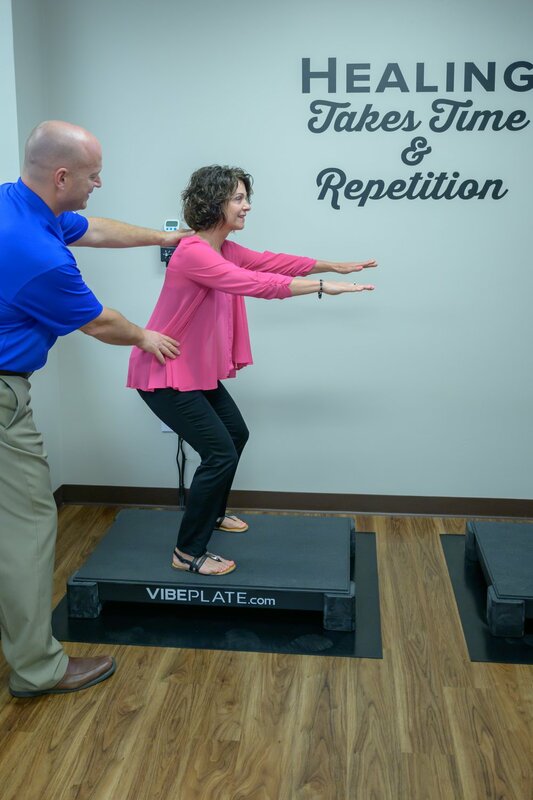 These procedures become even more effective using our VibePlate whole body vibration machines, which gently force your muscles to contract and relax repeatedly, improving muscle tone and increasing circulation, flexibility and range of motion. This improves the health of deeper stabilizing postural muscles. There is no one-size-fits-all solution to rehabilitation, so your treatment plan will be specific to your individual condition. 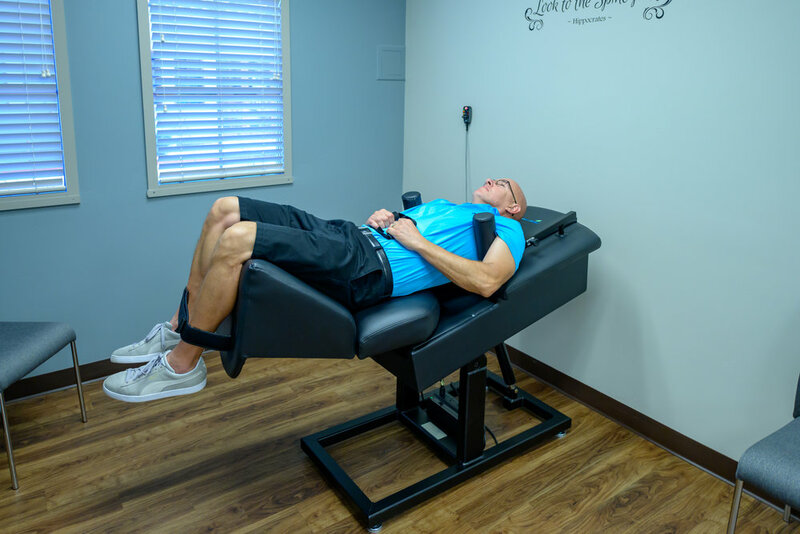 We not only want to address your immediate pain but provide you with personalized assistance and instruction to help you achieve and maintain long-term wellness.